I've put together a list of past Mr. Olympia results, Olympia history, and much more. Check it out! In 1963, Joe Weider had a vision that he felt would take the sport of bodybuilding to a new level. Joe came up with the ultimate contest with the ultimate prize, the Mr. Olympia. Previous Mr. Olympia winners (if more than 5 years they must have IFBB approval). Top 6 finalists from the previous year's Mr. Olympia. Top 6 finalists from the same year's Arnold Classic. Top 5 finalists from the same year's New York Men's Professional (previously called Night of the Champions). Top 3 finalist from any other competition in the IFBB professional tour held during the subsequent year prior to the Mr. Olympia. The winner of the Masters Professional World Championships. The event organizer can nominate one competitor who has not qualified by other means, as a "special invitee." Eugene Sandow, The first famous bodybuilder, transformed his music-hall performance into a career as a professional strongman. 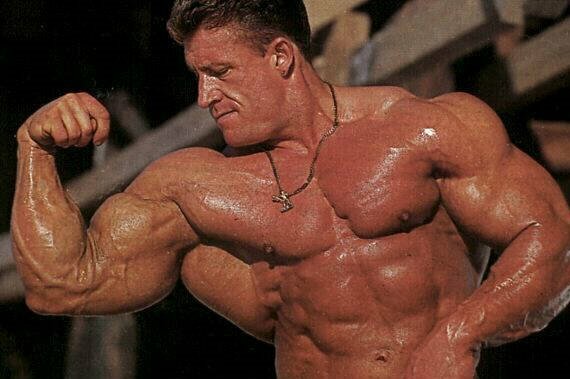 Back in the day, Sandow had what is now termed "good genetics" for the sport of bodybuilding. Sandow invented equipment, such as spring-grip dumbbells. It was with Sandow that bodybuilding was actually born. He began demonstrating his strength to audiences as well as posing as a Greek statue to attract attention to himself. In 1898, Sandow was considered the most famous man alive when he started publishing the magazine Physical Culture which later became Sandow's Magazine of Physical Culture. Sandow showed off his physique on postcards only wearing a fig leaf to cover up. By the time of his death in 1925, Sandow had made bodybuilding a profitable enterprise. It all began on September 18, 1965, at the Brooklyn Academy of Music. This was the night of the first ever Mr. Olympia contest. Larry Scott was the man the crowd was waiting to see. Larry had already won the Mr. America, the Mr. World, and the Mr. Universe titles. Joe Weider realized he needed Larry Scott to continue in the sport of bodybuilding in order for the sport to grow. Joe created the Mr. Olympia contest to try to keep all the Mr. Universe champions in the sport and to give them the opportunity to earn money from competing, similar to other professional athletes in other sports. Larry Scott won the first Mr. Olympia contest in 1965 and repeated his title again in 1966. After the contest Larry announced his retirement from the sport. In 1967, Sergio Oliva came into the contest big and ripped and ended up winning the third Mr. Olympia contest. He trained hard after his first Olympia title, and looked so much better than the year before that he won the 1968 Mr. Olympia easily. The 1969 Mr. Olympia began the greatest rivalry in the history of bodybuilding. 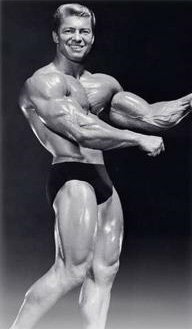 A young Austrian named Arnold Schwarzenegger came into the bodybuilding scene and challenged Oliva for the title. The two battled back and forth with Sergio coming out on top. Oliva had collected his third Mr. Olympia title in a row. 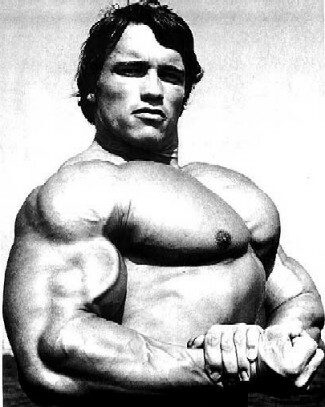 Both Arnold and Sergio hit the gym hard for the following year and in 1970, Arnold edged out Sergio to become the third bodybuilder to hold the Mr. Olympia title. Arnold won The Olympia again in 1971. This was the first year the show was held outside of New York. The contest was held in Paris, which happened to be the same day the NABBA Universe was being held. Arnold competed in the Mr. Olympia while others decided to avoid Arnold and compete in the NABBA competition. In 1972, Arnold and Sergio went at it again when the Olympia moved to Essen, Germany. To this day people still argue over who should have won the contest. It ended on a 4-3 vote with the decision going to Arnold. 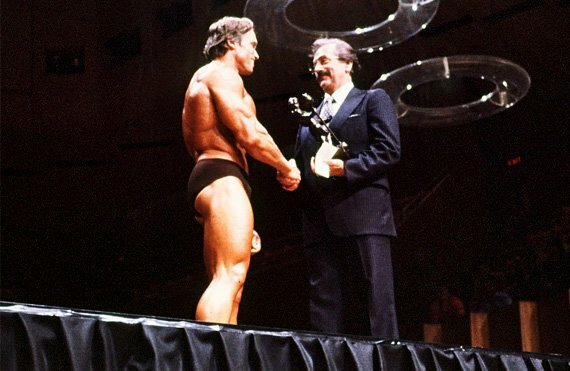 In 1973, the contest returned to New York, and the Big Apple saw Arnold take the title for the fourth consecutive year. This seemed to be an easy win for Arnold, but a huge challenger by the name of Lou Ferrigno was up and coming on the pro scene. Lou was the largest bodybuilder that Arnold had ever seen, standing a giant 6-foot-5 and weighing in at 270 pounds. The show was held in New York at the Felt Forum in Madison Square Garden. 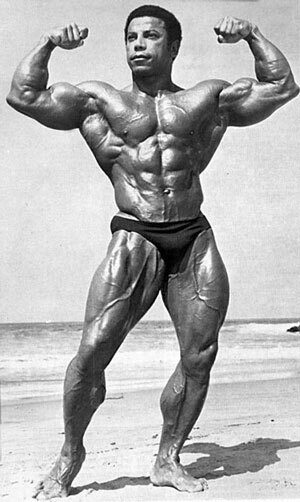 Arnold once again in 1974 won the title for a fifth time, but there were rumors that Arnold was thinking about retirement. This was the first year that there was a two-tier weight class which lasted until 1979. In 1975 the Mr. Olympia moved to South Africa (as seen in the movie Pumping Iron). Arnold won the Olympia for the sixth time and immediately announced his retirement. In 1976, the contest moved to Columbus, Ohio where Franco Columbu finally won the Mr. Olympia title after competing in the contest for more than five years. After his victory, Columbu announced his retirement from bodybuilding. 1977 turned out to be a great year for Frank Zane. He came to Columbus ripped and ready to win his first Mr. Olympia title, which he did. Again in 1978 Frank Zane took the title. Frank proved to the people that the Mr. Olympia winner did not necessarily have to be the biggest competitor on stage. In 1979, Zane won the Olympia to make it three in a row. This win made people wonder if Arnold's record could be broken. The following year would burst that bubble. In 1980, the Olympia was held in Australia. There were 16 bodybuilders competing in that year's Olympia, which would be the largest to date. Many people in the sport had seen Arnold training in the gym for weeks before the 1980 Olympia, but most believed it was for an upcoming movie that he would be appearing in. The competitors were confused when Arnold boarded the plane for Australia. They all thought he was going to do the TV commentary for the event. All the way up to and even at the contestants' meeting, they thought he was as an IFBB promoter and official. The tone of the competitors changed when Arnold's name was announced to compete and he chose a competitor number. Arnold won the Mr. Olympia title for a seventh time in 1980, but no one understood the true reason why he came back to compete in 1980. 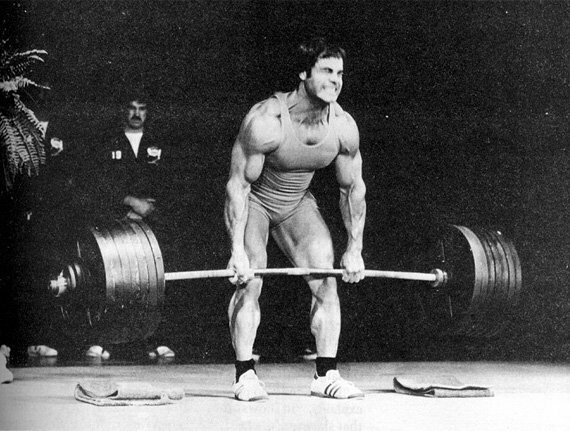 In 1981, Franco Columbu staged a comeback similar to Arnold and won the title for his second time. This was an extremely close Olympia with five different judges choosing five different competitors for the number one spot. In London in 1982, Chris Dickerson won the title after finishing second the two previous years. 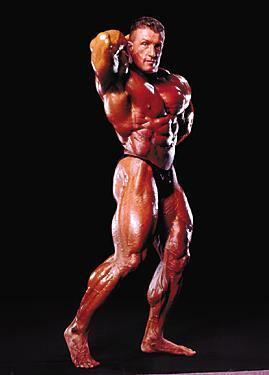 While onstage after his win, Dickerson announced his retirement from bodybuilding. In 1983, the Olympia returned to Germany. This year Samir Bannout won the title. In 1984, the Olympia returned once again to New York City, where it had the highest attendance for the finals (5,000 people), the highest attendance for prejudging (4,000 people) and the largest amount of total prize money ($100,000) for any of the Olympia's up to that date. Lee Haney, the largest Mr. Olympia winner yet, won weighing in at 247 pounds. Not only was Haney big and massive, but he was also ripped to shreds. 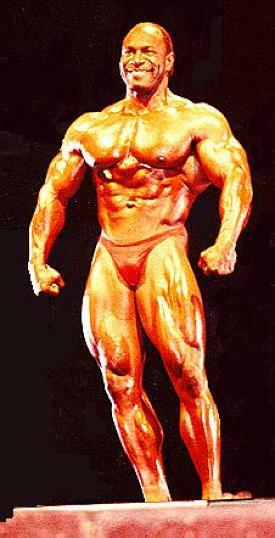 In 1985, the contest made its way to Belgium where Haney came out on top again to take his second straight Olympia. Lee took his third straight crown in 1986 in Columbus and began setting his sights on Arnold's record. In 1987, the Olympia arrived in Sweden, where Haney dominated anything and everything that stepped on stage. Haney had now racked up four consecutive titles. The 1988 Olympia was held at The Universal Amphitheater in Los Angeles. Before prejudging, all of the bodybuilders wore the same boxing robes when they were officially being weighed. Haney again won, this time taking the highest paying title at $150,000 and making it five consecutive titles. 1989 was Italy's turn at hosting the Olympia. Haney won his sixth consecutive Olympia title and tied Arnold's record. This title didn't come easily though: Haney had to fight off an impressive Lee Labrada and Vince Taylor. In 1990, everyone packed into Chicago's Arie Crown Theater where the prize money hit $200,000. After two rounds of the Olympia, Haney was behind by two points, but in the posing round and posedown he pushed ahead to best Lee Labrada and Shawn Ray. This victory gave Haney seven consecutive Mr. Olympia titles and tied Arnold's record. The 1991 Mr. Olympia was held in Orlando, Florida. For the first time Haney was up against someone the same size as him. Dorian Yates came into the contest at 5-foot-11 and weighing in at 245 pounds. Only four points separated Yates and Haney after two rounds, but Haney pulled ahead in rounds three and four to take his eighth consecutive Mr. Olympia championship. After his record-setting eighth victory, Haney decided to hang it up and retire. 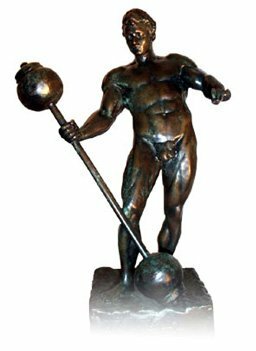 In 1992, the Mr. Olympia contest moved overseas to Helsinki, Finland. Yates and Kevin Levrone battled the whole contest with Yates taking the crown in the end. Yates came into the 1993 Atlanta Olympia weighing 257 pounds. No one could touch him as he blew the competition away with a physique that no one could even come close to. However, his luck would change in 1994. In March of 1994, Yates severely injured his left rotator cuff, and then later on that month he tore his left quad. Things didn't get much better after that either. Yates then tore his left biceps less than nine weeks out from the contest. However, Yates was determined to compete and showed up in Atlanta to take his third trophy. Then in 1995, Yates showed up in Atlanta in his best condition to take yet another trophy. At the end of the contest, all nine of the men who won the past Olympia's came onstage to pay tribute to Joe Weider. In 1996, the Olympia moved to Chicago. Yates breezed through the contest (no pun intended with Chicago being the windy city) taking his fifth title. Shawn Ray and Kevin Levrone also looked good in the Olympia and people were starting to talk about their chances of taking out Yates in the upcoming years. Nasser El Sonbaty was disqualified during the event after failing a diuretics drug test (he would have placed third). In 1997, the Mr. Olympia was held in Long Beach. Yates was pushing for his sixth consecutive Olympia title. The contest was a great show of incredible physiques with Nasser El Sonbaty coming in with his best condition to date. He pushed Yates hard but in the end Yates again took home the trophy and the $110,000 paycheck. An interesting fact which most people did not know is that Dorian had suffered a torn triceps a few months before the contest, but said nothing about it to anyone and still competed. After the show and thinking about the upcoming year, Yates had surgery on his torn triceps and decided he was not going to compete in the '98 Olympia and that he was going to retire. New York held the 1998 Olympia and with Yates out of the picture, the title was up for grabs. This year a new face showed up at the show, that face being Ronnie Coleman. 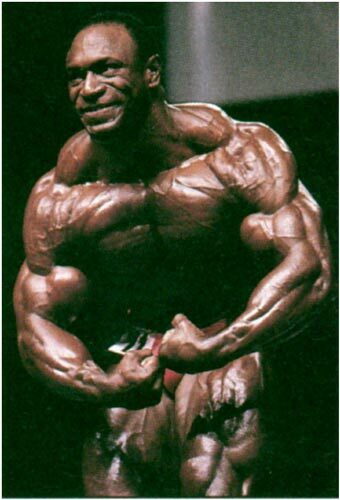 Ronnie came out of nowhere with a huge back and freaky physique to beat Flex Wheeler for his first title. The Mandalay Bay Resort & Casino in Las Vegas held the 1999 Mr. Olympia contest. The venue was completely sold out. Again this year Coleman and Wheeler battled in yet another close contest. Ronnie came in to the contest bigger than the previous year, again with great conditioning. Ronnie took home the title for the second consecutive year. Once Flex heard the result, he turned his back on the judges and showed them his middle finger. Markus Ruhl was disqualified from the contest after testing positive for diuretics. 2000 came rolling along and Coleman once again came into the contest bigger than the year before, with freaky conditioning that no one could touch. Yet again Flex and Kevin Levrone had to stand there and watch Ronnie take home his third consecutive trophy. 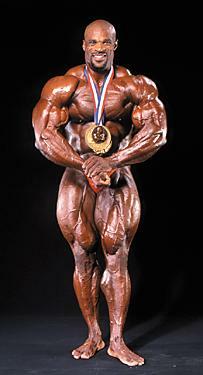 2001 was a scary Olympia for King Ronnie. Out of nowhere came Jay Cutler who won the first two rounds of the Mr. Olympia. This was by far the most exciting Olympia to date. Ronnie for the first time wondered if his physique would hold up to fend off Jay. During the evening show, Coleman won both rounds, and beat Jay Cutler by six points to take home the title. The final result had some fans asking how Jay lost and swearing that Jay deserved to win. 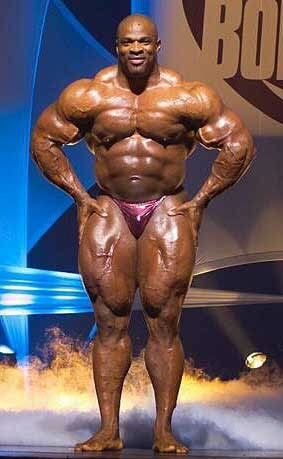 2002 came and Ronnie Coleman won yet again, but not without some more controversy. Kevin Levrone and Gunter Schlierkamp came into the contest looking massive and in great condition, yet fell short. In 2003, Ronnie (39 years old) won the title with ease. Neither Jay nor Gunter could touch him. His stage presence was untouchable and no one even came close to the conditioning that Ronnie came in with. Chris Cormier pulled out of the contest at the last minute due to sickness. In 2004, there were some changes made to the original format of the Olympia. AMI took over the Olympia and a new "Challenge" round was introduced rather than having the normal fourth posedown round. 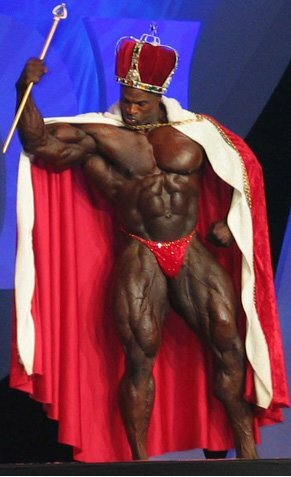 Ronnie Coleman dominated again and took home the trophy with Jay taking second place. Jay swore things would change for 2005 and that he would be holding the trophy at the 2005 Olympia. Orleans Hotel held the 2005 Olympia where once again Coleman won. At 41 years old, this gave Ronnie seven consecutive Mr. Olympia titles. Once again, second place went to a disappointed Jay Cutler. All information on this year's Mr. Olympia can be found at their website: www.mrolympia.com.